No more wishing your laundry would fold itself because now it can. Add CES as an interest to stay up to date on the latest CES news, video, and analysis from ABC News. Premiering this week at the Consumer Electronics Show 2019 in Las Vegas, FoldiMate is a laundry-folding machine that has us in awe. The time-saving innovation will fold your clothing in less than 5 minutes -- less than it'll take to brew a cup of coffee. 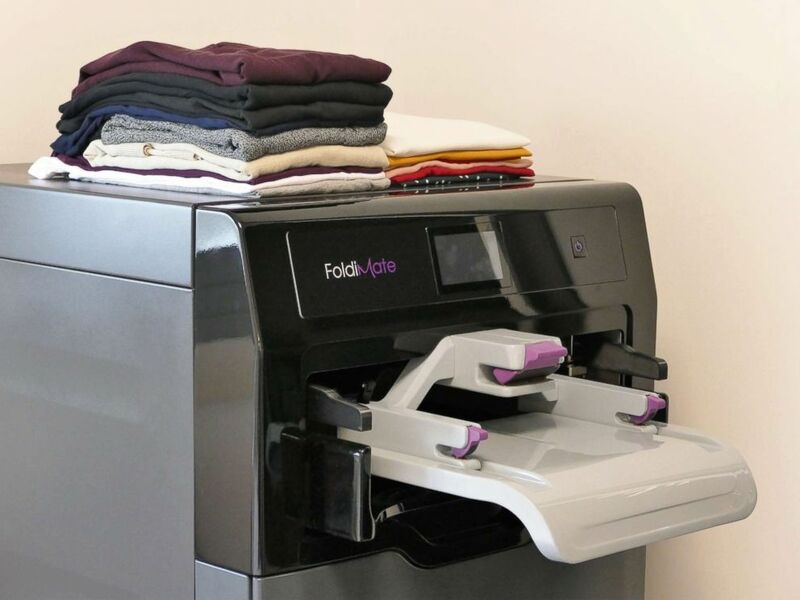 FoldiMate is the name of the company that created the robot that folds your laundry, which premiered at the Consumer Electronics Show 2019 in Las Vegas. 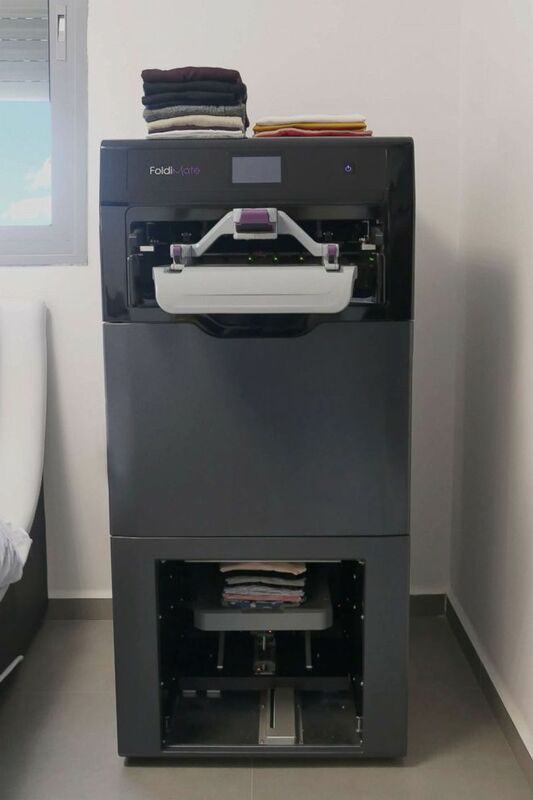 The Israel-based company of the same name says the robot "will fold most types of shirts, blouses or pants from age 6 to adult size XXL." 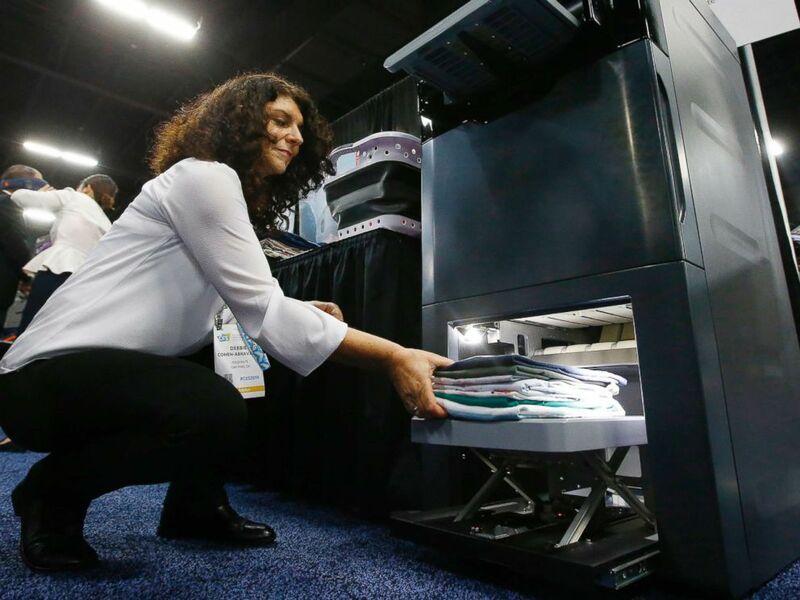 Debbie Cohen-Abravanel, CMO at Foldimate, demonstrates the new device that folds your clothes automatically, during the preview at CES 2019, Jan. 6, 2019, in Las Vegas, Nevada. FoldImate will also fold standard size towels and pillowcases. Here's how it works: just feed your garments continuously while the machine simultaneously folds them in seconds. FoldiMate is the name of the company that created the robot that claims to fold your laundry for you in under five minutes.